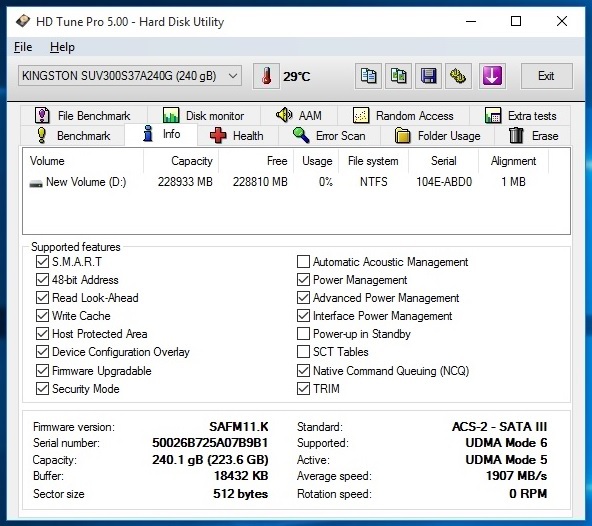 Today we are reviewing KINGSTON’s new line of SATA-600 solid-state driver, the Kingston UV300 SSD, featuring the latest generation of SSD NAND storage TLC(triple-level cell)-NAND with a Phison S10 quad-core Controller providing better speed and performance at a very competitive price, which is available in many capacities 120GB, 240GB and 480GB. 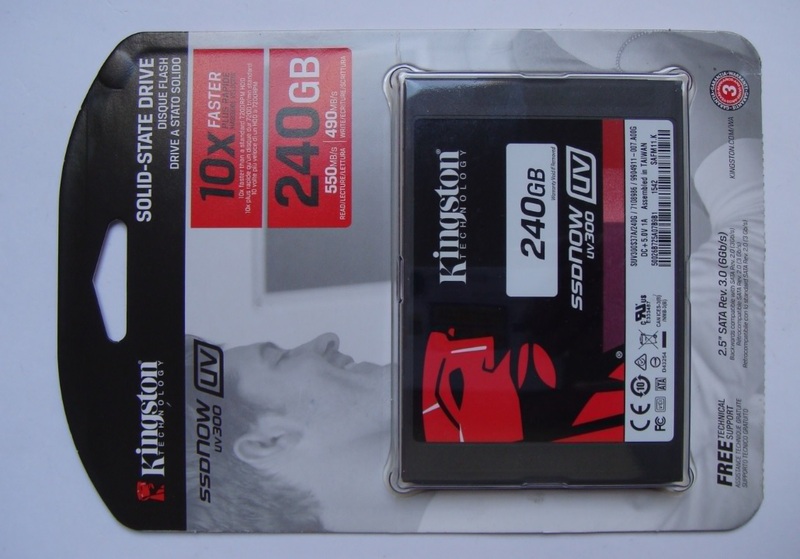 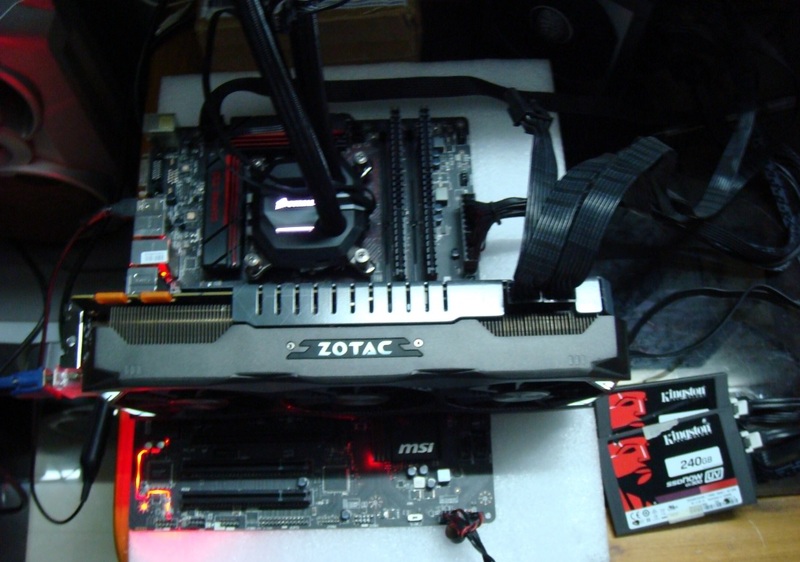 KINGSTON India provided us the Kingston UV300 240GB SSD (Model no. 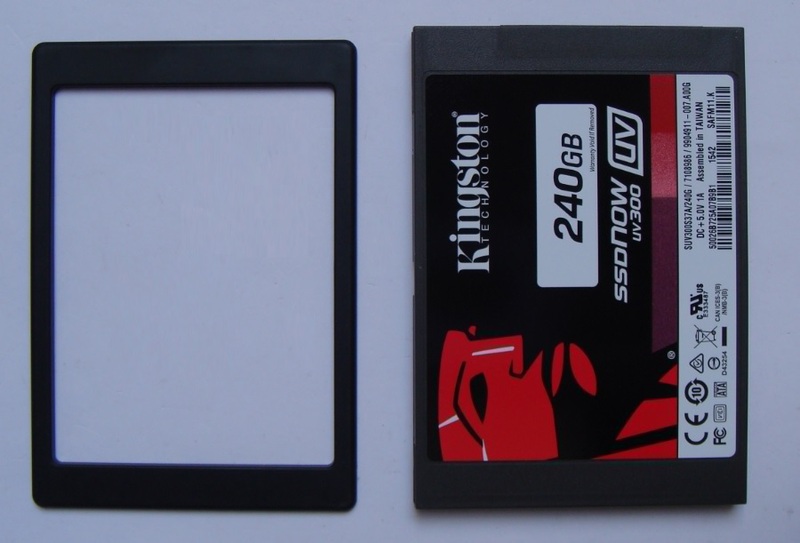 SUV300S37A/240G) for reviewing. 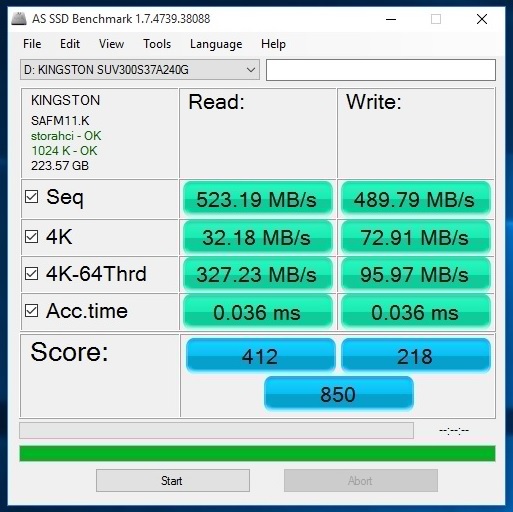 Now let’s see what this KINGSTON SSD have for us. 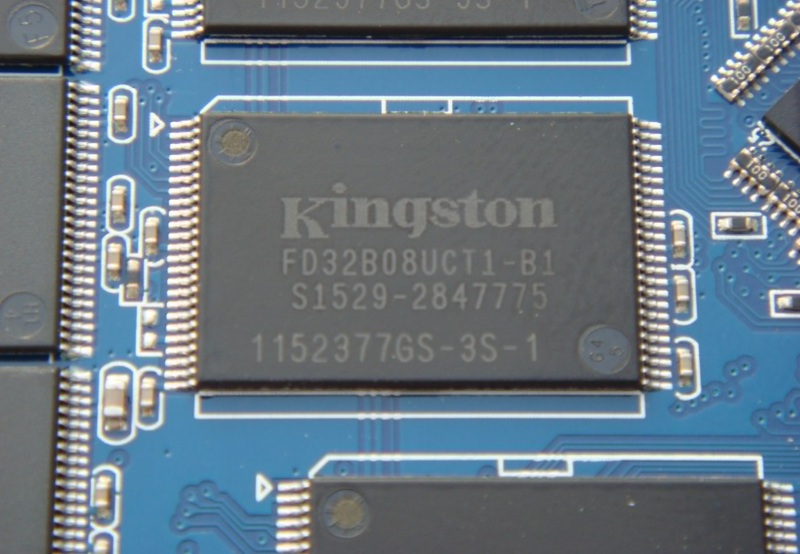 Kingston SSD comes in a hang-on cardboard packing with the actual SSD securely packed in a see through plastic module. 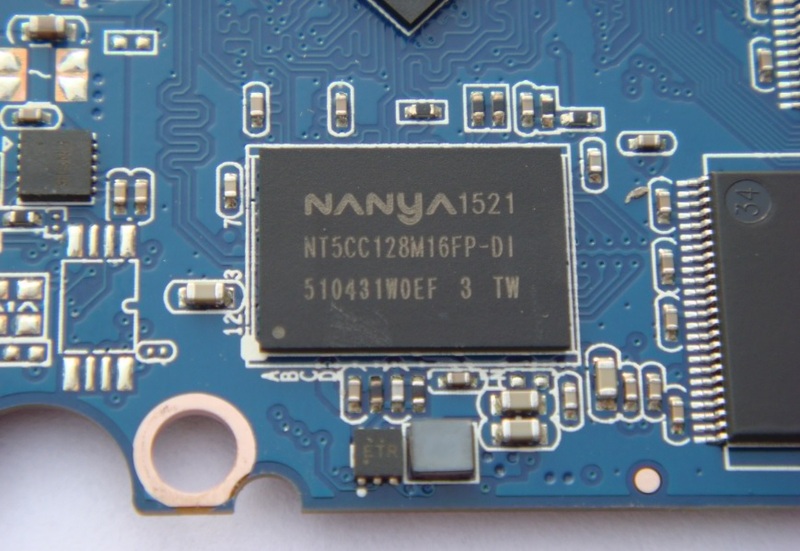 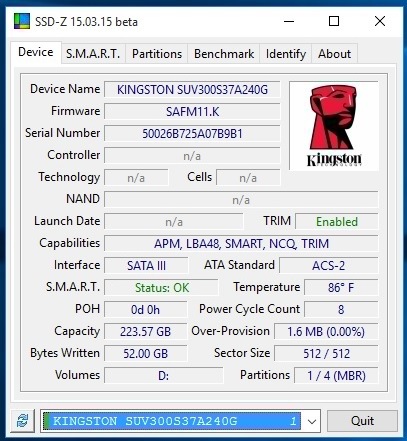 We see Kingston logo with SSD model no. 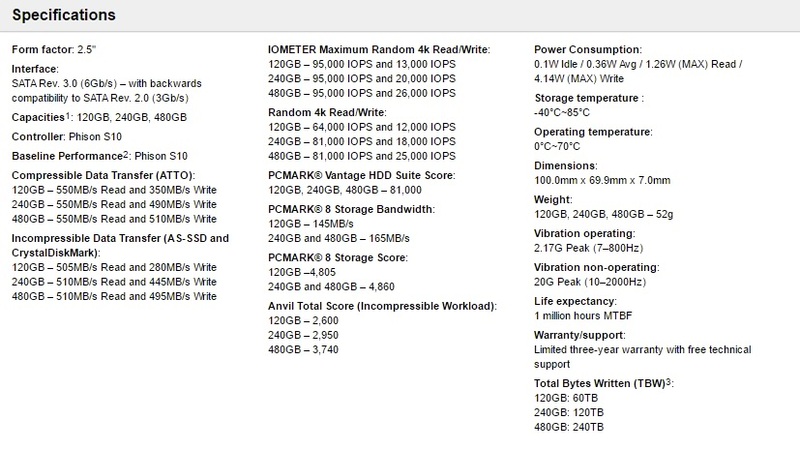 capacity and speed parameters showing 550MB/s read and 490MB/s write speeds and a 3 year warranty stamp. 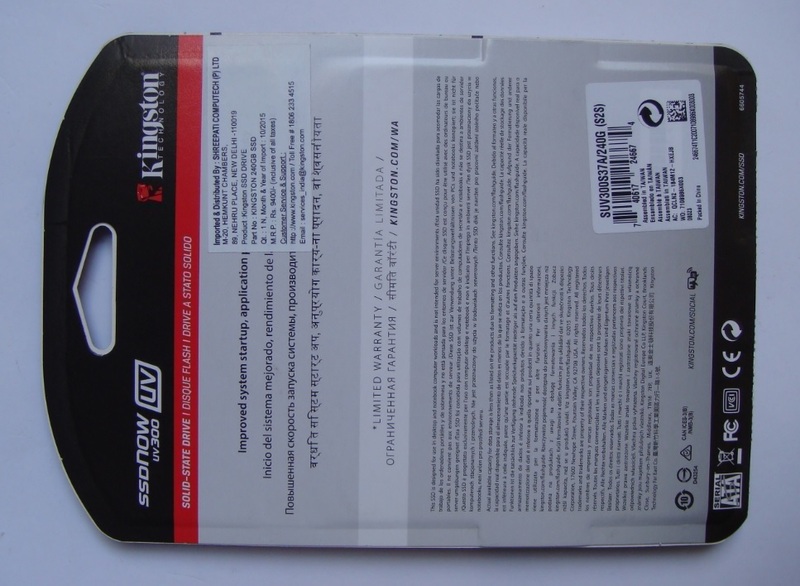 On back side we have warranty details as well as different certifications logo. 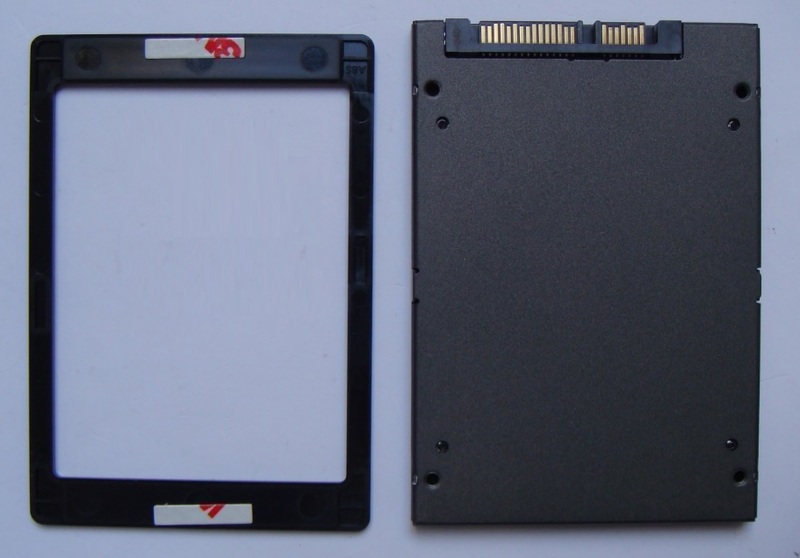 Along with the actual SSD we also have plastic stick-on spacer to adjust the SSD thickness as per user installation needs. 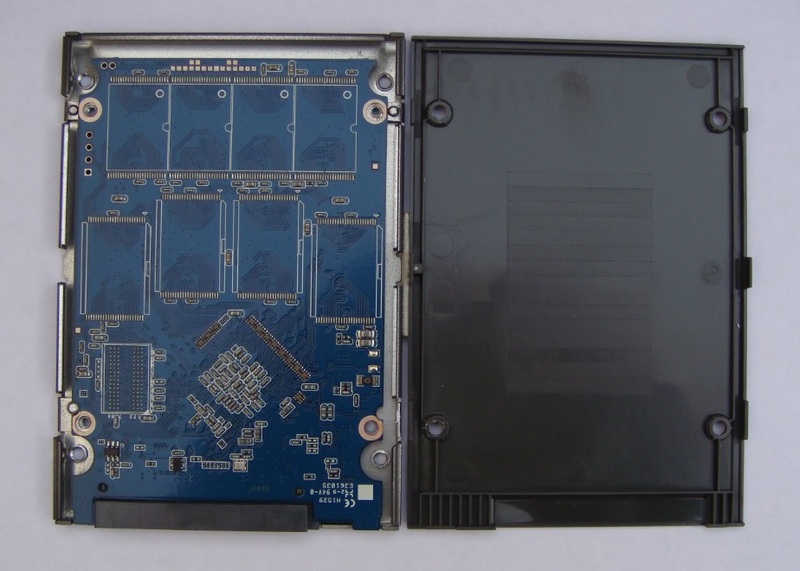 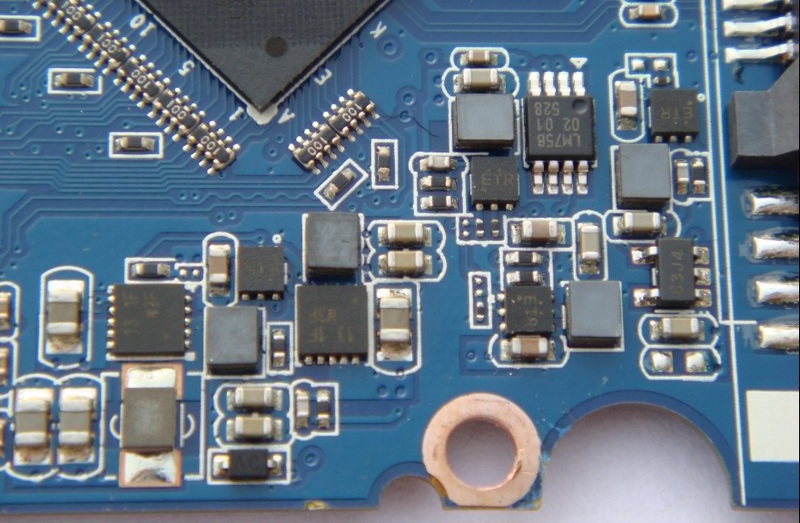 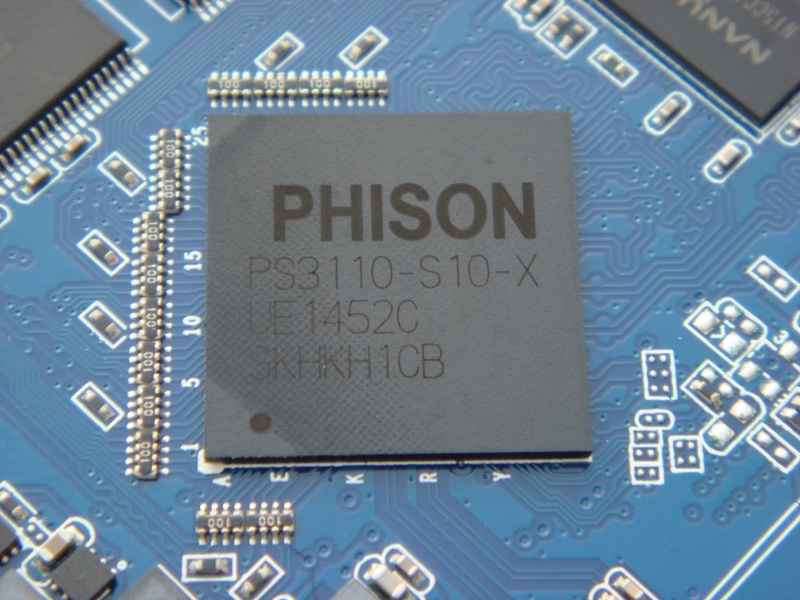 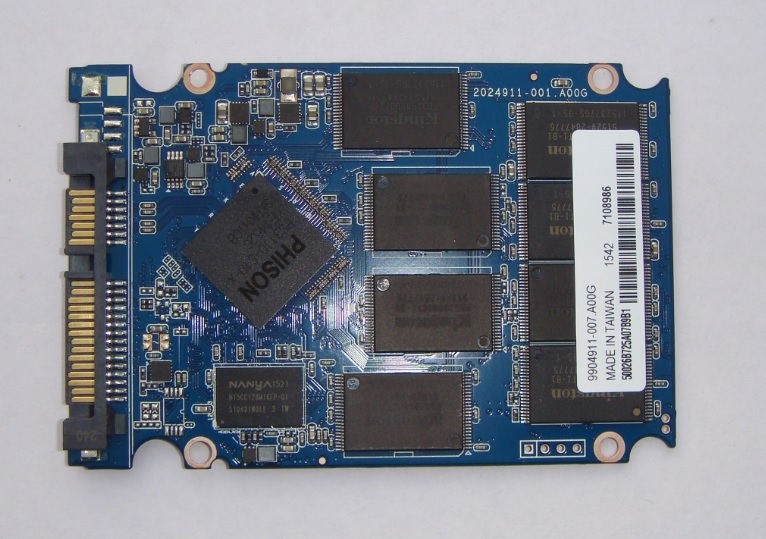 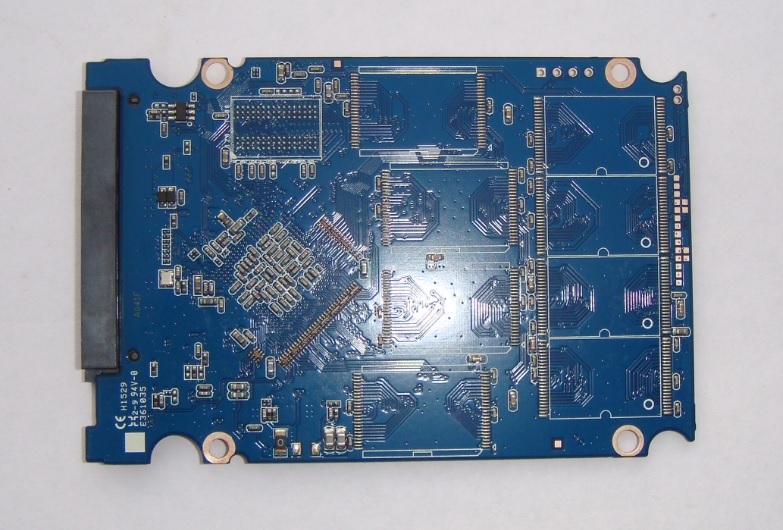 In the UV300 SSD, the Phison PS3110-S10-X quad-core controller is paired with eight Kingston FD32808UCT1-B1 NAND chips which are really Toshiba TLC-NAND chips and Nanya 256MB DDR3 cache chip, along with few voltage controller section and some passive components. 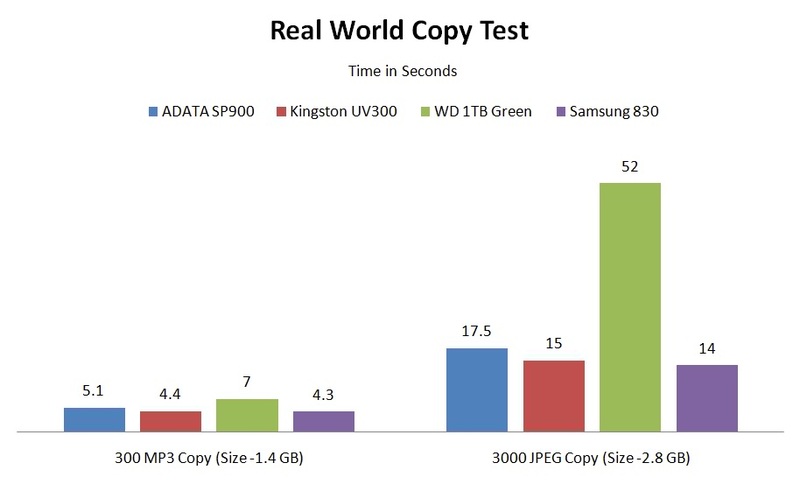 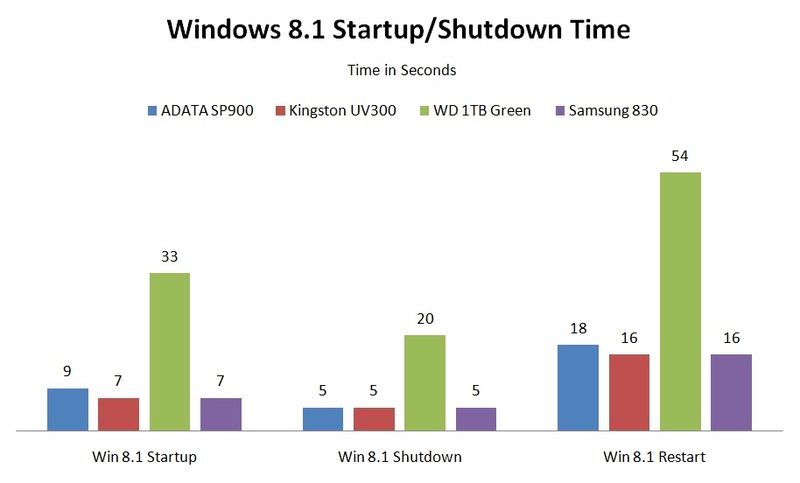 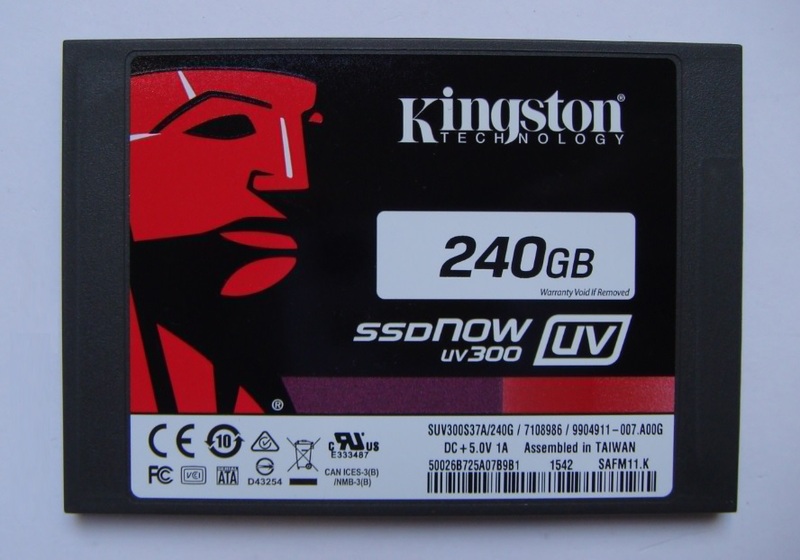 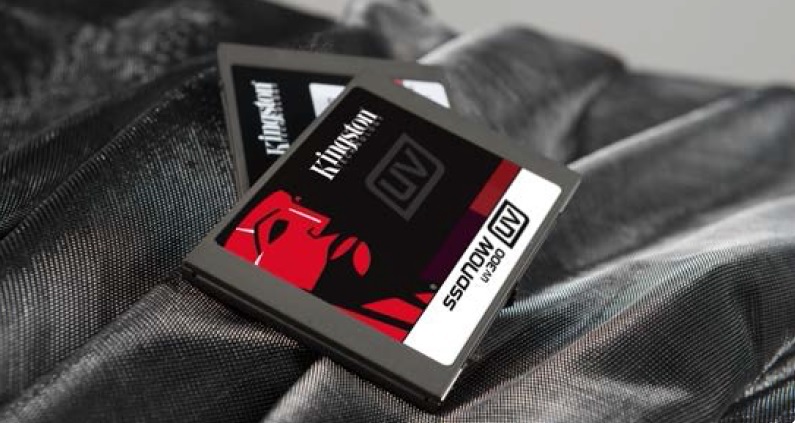 Kingston SSDNow UV300 with TLC technology has shown a significantly high performance compared to old generation SSDs that too at a lower price. 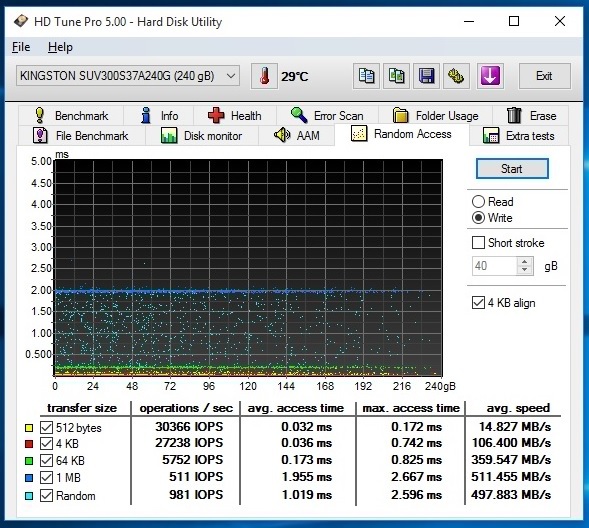 Considering it as a great increase in performance and OS boot speed to computers still having the traditional mechanical Hard-drives as system drives. 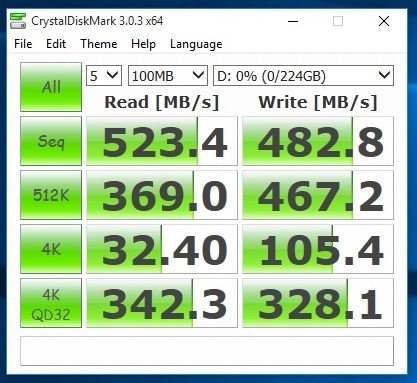 Only negative point we found was slight less write speed when compared with other 240GB SSD, but can easily overlook when price comparison comes in place. 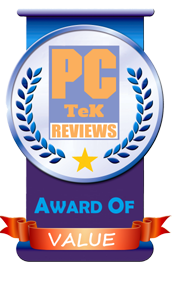 With a price tag of Rs.5600 adding a 3 years warranty, Kingston UV300 240GB SSD can easily be recommended as a great performance upgrade on a budget PC segment and is worthy of our PC TeK REVIEWS VALUE Award.